The Congress will release its manifesto for the Lok Sabha polls on Tuesday. 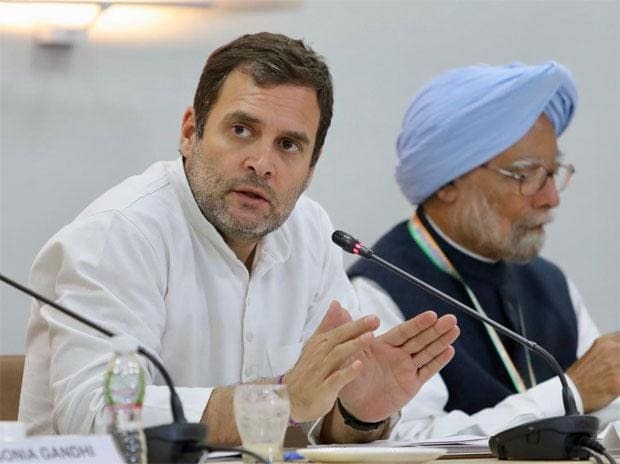 The manifesto document will be released by Congress president Rahul Gandhi and all top party leaders, including former prime minister Manmohan Singh, will be present at the party's Akbar Road headquarters. Gandhi has said that the manifesto will reflect the people's voice and not just one man's view while making a clear reference to Prime Minister Narendra Modi. He has also said the manifesto will lay major thrust on jobs creation, addressing agrarian distress and strengthening the education and health sectors besides charting a roadmap to boost economic growth.